An educational endeavour which aims to help youths shape a better future for their country has started to take root in the Philippines. A series of seminars is annually offered by the Institute for Studies in Global Prosperity (ISGP) for undergraduate and graduate university students. These seminars build in these students capacity to draw light from science and religion to engage in meaningful conversations with peers and discourses with educators on subjects relating to global prosperity, such as science, religion and development, governance, equality of men and women, and overcoming oppression. By this action in a learning environment of a university, young people together review assumptions that support current social structures and relationships and in the light of historical forces, science and religion to see a path to advance civilized life. The Institute for Studies in Global Prosperity or ISGP was created as an educational and research organization. At the heart of ISGP’s work is an exploration of how science and religion, as two complementary systems of knowledge and practice, can be drawn on to achieve positive and enduring change for the betterment of the world. ISGP’s early efforts focuses on exploring, together with a number of non-governmental organizations and development agencies, how material and spiritual knowledge can be applied to advance processes of social and economic development. Its first initiative was to promote a discourse on science, religion and development that began in India in 2000 and was subsequently extended to several other countries in Asia, Latin America, and Africa. In 2008, as a complement to this endeavor, ISGP initiated a second line of action that focuses on raising capacity among a growing body of university students and young adults to contribute to discourses related to the advancement of civilization. ISGP offers a program of intensive seminars to young people in diverse settings throughout the world where, through a process of study, reflection, and consultation, they explore elements of the conceptual framework that gives coherence to their thought and action, and raise their capacity to participate in a growing range of contemporary discourses. In the Philippines, ISGP held its first seminar for university students in December 2009 held at the Bahá’í National Center, Manila. The participants who hailed from various provinces of Luzon, Visayas and Mindanao, come from different fields of study. Inspired by the teachings of Bahá’u’lláh, their high level of focus and interest on the materials studied became key to the seminar’s success. 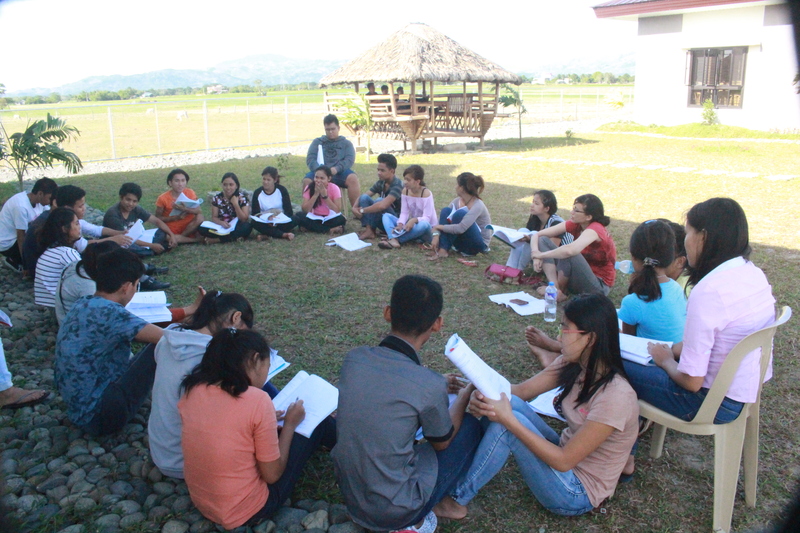 ISGP currently holds a 10–12 day seminar for College and University students in the Philippines who are actively involved in community building activities of the Bahá’í community. These seminars aim to raise their consciousness on the importance of engaging in action and discourse directed towards social change and provide these young people with tools to understand and analyze their society and the content of the University courses they are studying. It also aims to assist the participants in acquiring knowledge that will enable them to live fruitful and meaningful lives. Throughout the course of the seminars, the students enjoy an atmosphere that is at once serious and joyful, educative and uplifting, disciplined and dynamic. They have the opportunity to learn from their peers, to share their struggles and concerns, and to build and strengthen bonds of fellowship and friendship that help nourish and recharge their spirit each year. Other contributing elements to the seminar are the use of arts and music in enhancing the devotional aspect of the gathering, as well as the effective use of arts as one tool in conveying the participants’ understanding of some of the concepts that were studied.